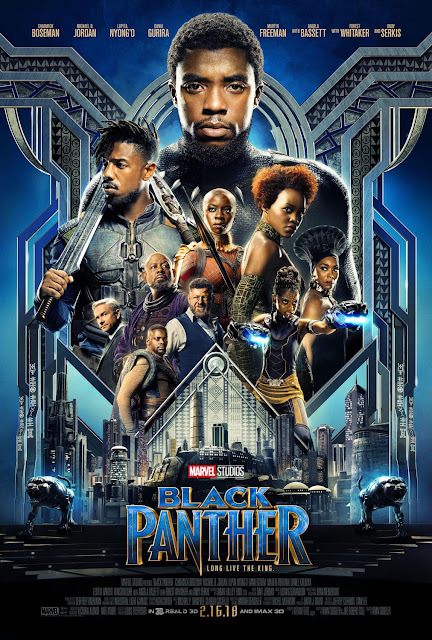 Chrichton's World: Review Black Panther (2018): Is it a masterpiece? Not by a long shot. But it's very solid and entertaining! Review Black Panther (2018): Is it a masterpiece? Not by a long shot. But it's very solid and entertaining! The hype for Black Panther was gigantic. And the teaser trailer certainly got me excited. But as with most hyped films they often can't deliver on what they promised. Black Panther does deliver but to say it's a milestone is a big stretch. Of course I am aware that it could be seen as an important movie for black people as it portrays them vastly different from the usual stereotypes. That makes it current and fresh but to say that this film will blow you away? 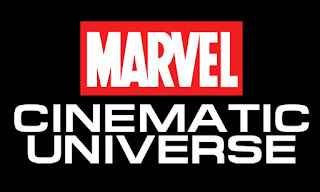 First and foremost this is a Marvel film within a set universe and as much as we would want to it won't be vastly different from the other Marvel films. They follow a certain structure especially when it comes to the origin stories. Black Panther may technically be more like a follow up it does play out as one so don't expect huge twists and turns. Black Panther very much is a predictable affair and there is nothing wrong with that since it's the tone and interactions between characters that give this film it's own unique flavour. Black Panther toys around with the general perception people have of African countries. Wakanda might be exceptional it certainly isn't that far removed from the richest countries in Africa currently apart from the fantastic elements naturally. Eddie Murphy already showed us the other Africa in his comedy Coming to America. And Black Panther might even have a lot of similarities. Although it does go a few steps further where for example women also are called upon when they have to battle. One of the highlights for sure are the warrior women led by Okoye (Danai Gurira). They are fierce and very resourceful. Then there is T' Challa's partner Nakia who serves Wakanda on her own terms cloak and dagger style. Last but not least you have T' Challa's younger sister who is a little defiant but brilliant scientist and inventor doing her part. I can see how that these characters can inspire and make people feel empowered. It's glorious to see them in action. They certainly help make the action more exciting. I wished I could say the same about the story and the villain. Like I said it's very predictable and slightly weak. Especially when it's the villain concerned. They didn't go far enough. As they could have really made an impact with Erik Killmonger and the injustice that has been done to him. Now he is your typical bad guy just there to cause some pain. I found his introduction to be very uninspired. Most of the story in the first part was very thin and stretched out to the extent that I almost lost interest. Fortunately the second part makes up for all the flaws of the first part and gives the story some meat and substance. It's when you learn more about other important characters and how important they are in relation to T' Challa and Wakanda. Overall Black Panther is a very solid entry in MCU but it won't blow people away as was hyped. It's too flawed and predictable for that. But it has made me look forward to seeing Wakanda and it's characters in future sequels as in other MCU films like they did in Avengers; Infinity War.